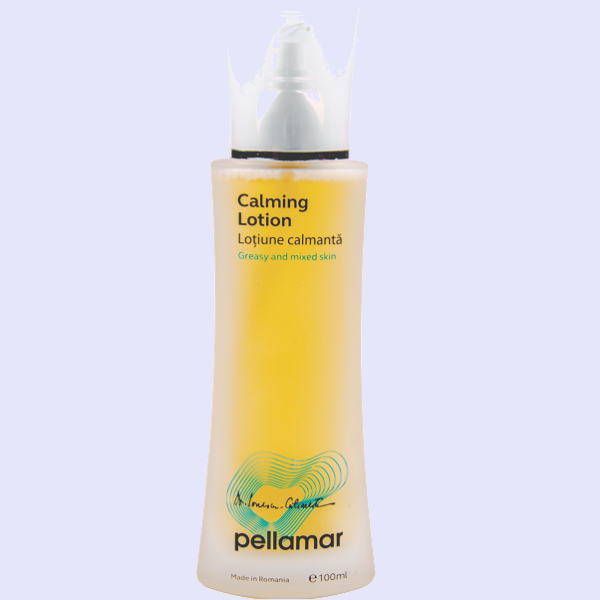 Pellamar Calming Lotion works by hydrating, soothing and energising the skin. 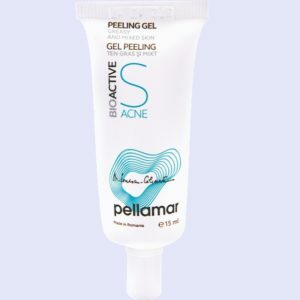 It is made with a keratolytic solution which holds a sebum secretion normalising effect by cleaning the sebum excess, reducing inflammation and microbial proliferation. It works to restore the skins regular PH balance by purifying, refreshing and toning. It diminishes fat excess from skin surface and normalizes the sebaceous glands activities. 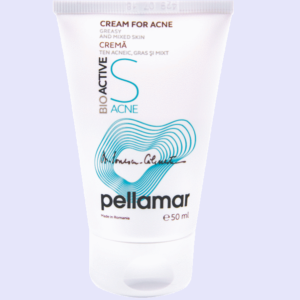 The formula has specially selected active principles which have strong antibacterial and anti-inflammatory effect which works to combat and prevent acne. The skins firmness and appearance improves with regular application of the lotion, enabling the skin to fight off acne and other impurities. Use this lotion in the morning and in the evening before using cosmetic products or whenever it is necessary to clean and cool the skin. Using a pad, apply the lotion onto clean skin which needs targeting with delicate movements. AQUA, GLYCEROL, SALIX ALBA (WILLOW) BARK EXTRACT / PROPYLENE GLYCOL / SORBITOL, CHAMOMILA RECUTITA / PROPYLENE GLYCOL, LAVANDULA AUGUSTIFOLIA EXTRACT, ALOE BARBADENSIS LEAF JUICE, COCAMIDOPROPYL BETAINE, ALANTOIN, MINERAL SALTS AND AMINO ACIDS FROM PELLOID MUD EXTRACT (PELL AMAR), ETHYLHEXYLGLYCERIN / PHENOXYETHANOL, MENTHOL. This lotion is very good and effective. I also use it as a cleanser for removing makeup. It cleanses and refreshes the skin very well. I have been using it for a few days and until now I have noticed any negative effects. A week of use I feel my skin hydrated and much cleaner, I hope my acne disappear.